Become part of our business family! In order to be able to provide the highest quality of hosting and hosting-related services to our customers, we have to work with the best in the business. Each of our partners is carefully selected after evaluation, testing, and extensive communication so that we are sure our clients will get the best our of our collaboration. 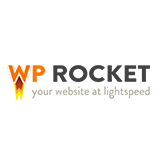 Get introduced with the companies that help WebHostFace be your ultimate hosting choice! When it comes to data centers, SingleHop is a premium global provider of IT infrastructure with high-end security, electrical and environmental features of their servers. Their facilities feature redundant electrical systems, enterprise-class UPS technology backed generators and are often placed on redundant power grids. 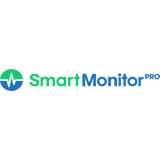 Moreover, a 24/7 server monitoring and physical security with advanced security measures is maintained in order to ensure optimal operations and no security breaches. 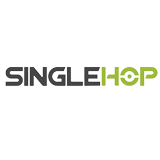 This is one small part of the reasons behind choosing SingleHop as our partner and we are more than certain we have made the right choice. What can be said about CloudFlare? Two words can incorporate it all – Speed and Security. 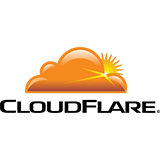 Everyone wants to have a faster and well protected website and CloudFlare found the key for that. Distributing your web traffic through their global network of servers you can be sure that your visitors will get the fastest loading time depending on their location. All this while blocking the threats and abusive bots it meets along the way. The perfect optimization solution you crave for and deserve to get. Building a new webpage is one thing but promoting it and bringing people in to see it is a whole other story. 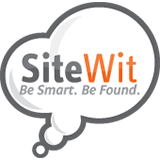 This is where SiteApps comes into play, ready to aid and assist you with all your marketing communication efforts. With hundreds of different apps you can find practically anything – from useful stats and analytics, through optimization tools, all the way to your social media handling. With their constantly growing database of widgets you can be sure that you will find what you seek. Designing a website often sounds like a lot of hard work and fine tuning. 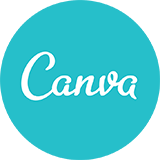 This is not the case with our friends from Canva who have a simple, yet perfect solution for the people who don’t want to spend days and weeks learning a new design software. Your ideas can be visually realized with an easy drag-and-drop and there are thousands of ready-made elements and fonts to choose from. If you want to edit your own photo you will bump into one of the smoothest editors there is. Now, who says designing should be hard? Security is a fundamental requirement for our whole experience in the online world. McAfee SECURE, being the largest dedicated security technology company, knows all about keeping your details safe and sound. With McAfee SECURE Lite your visitors will easily build trust, knowing that a respectable company is protecting their personal information. Its a straight line to success from there – trust brings traffic, traffic generates clicks and downloads and all this results in more sales. Surround your business with partners you can trust – choose McAfee SECURE Lite today. Your go-to place for a professional looking and easy-to-use sitebuilder. With its smooth drag-n-drop functionality, building your first website will be a breeze with Weebly. Create unlimited pages, choose from a plethora of responsive themes, tweak around the little visual details of the page – all can be learned on-the-go and applied effortlessly. Whether your website is an information one, a blog or an online shop, Weebly has got you covered with suitable solutions for any kind of web project. Do not hesitate and activate today from your WebHostFace cPanel. The unique SiteWit engine looks at how users engage with your website and then uses that data to run almost 100,000 mathematical solutions for your marketing campaigns. This ensures that your online marketing budget will be used effectively to target customers who have a higher chance to purchase a product or service on your website – an optimization which is impossible to do by hand. Make your website faster in just a few clicks with WP Rocket! WP Rocket is a premium WordPress caching plugin developed by a team of experts. It has consistently been rated the best caching plugin in independent performance tests carried out by various blogs. WP Rocket simply works. Setup can be done in less than a minute. It takes just about five clicks to set up. That’s all it takes. No need to waste time with a complicated, time-consuming setup process, no blank pages, database errors or broken website. Caching plugins are very powerful but if they are not set up properly, they can easily become a nightmare. If something goes wrong, you can count on WP Rocket’s support team to help you fix it in no time. 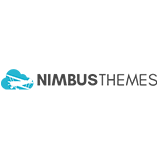 At Nimbus Themes, our goal is to help businesses craft their digital presence with beautiful WordPress themes & resources. 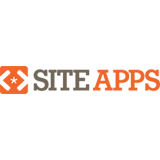 Our premium themes are crafted with precision and fully supported by our incredible team. 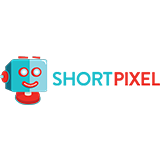 ShortPixel is an image optimization plugin that offers quick and easy JPEG, PNG, GIF and PDF compression without visual quality loss. One can optimize all the past images with a single click while the new images will be optimized automatically. All with comes together with stellar support! If your site is not online you are losing money. Get notify the second something changes with your domain, DNS records, server or WordPress files.